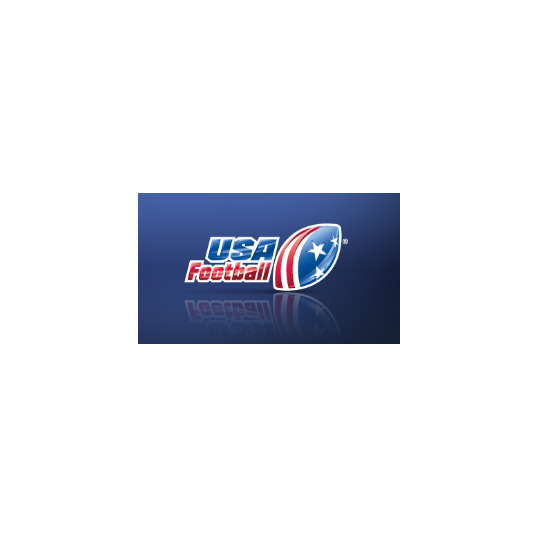 Youth, middle school and high school football programs are eligible to apply for football equipment grants from USA Football, the sport’s national governing body in the United States. The online application resides at usafootball.com and is available through May 17. Based on merit and need, USA Football will award $1 million in football equipment grants to assist and further strengthen America’s grassroots football community. USA Football’s grant program has assisted the youth and high school football community since 2006 and will have awarded more than $4 million worth of football equipment by the end of this year. The program is made possible through the NFL Youth Football Fund. Youth leagues that are 501(c)(3) compliant and schools may submit equipment grant applications through 5 p.m. ET on May 17 at www2.usafootball.com/grants. Applications may be submitted online or mailed. More than 4 million children and high school students play organized tackle football, placing the game among the country’s most popular youth and scholastic participatory sports. Each selected youth league and middle school program receives a $1,000 package that offers a variety of football equipment and uniform options to choose from. High schools receive similar packages valued at $1,500. Equipment grants are fulfilled by Riddell, the official helmet and protective equipment partner of USA Football. USA Football is the official youth football development partner of the NFL and its 32 teams. The NFL Youth Football Fund is a non-profit foundation created by the NFL and the NFL Players Association to promote positive youth development, support youth and high school football needs nationwide and ensure the health of grassroots football for future generations. Youth leagues and schools may employ their USA Football grant to follow new football helmet reconditioning protocols set forth by the National Athletic Equipment Reconditioning Association (NAERA). Effective at the end of the 2011 football season, any helmet 10 years old or older will not be reconditioned or recertified by a NAERA member. Independent nonprofit USA Football offers innovative programs and development resources to ensure a positive football experience for youth and high school players. 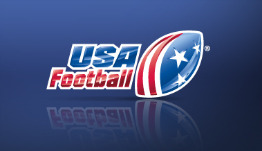 USA Football members – players, coaches, youth league commissioners and game officials – reside in all 50 states. USA Football, the sport’s national governing body, hosts more than 80 football training events annually offering education for coaches and game officials, skill development for players and resources for youth football league commissioners. The independent nonprofit is the official youth football development partner of the NFL and its 32 teams. USA Football manages U.S. national teams within the sport for international competition and provides more than $1 million annually in equipment grants and youth league volunteer background check subsidies. Endowed by the NFL and NFL Players Association in 2002 through the NFL Youth Football Fund, USA Football (www.usafootball.com) is chaired by former NFL team executive Carl Peterson.